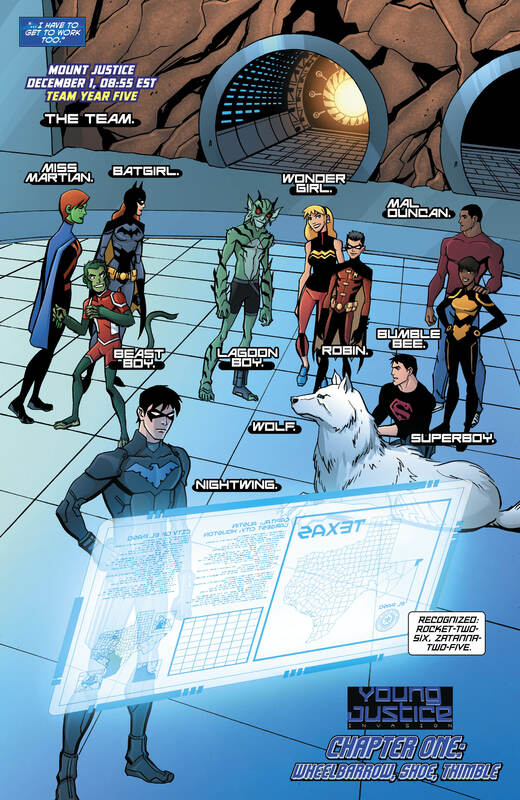 Young Justice #21, the latest issue of the DC Comics title based on the current Cartoon Network animated series of the same name, arrives in comic book and hobby stores today. 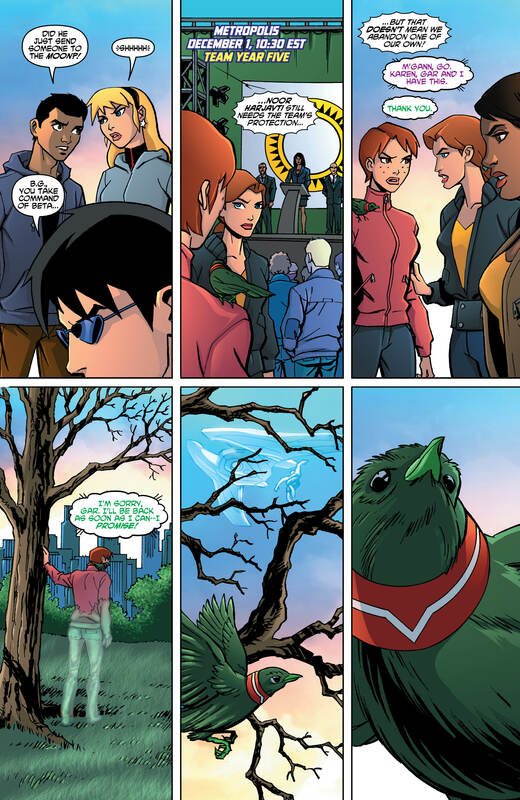 Young Justice #21 continues its initial arc featuring the characters and setting from the Young Justice: Invasion second-season story-arc. 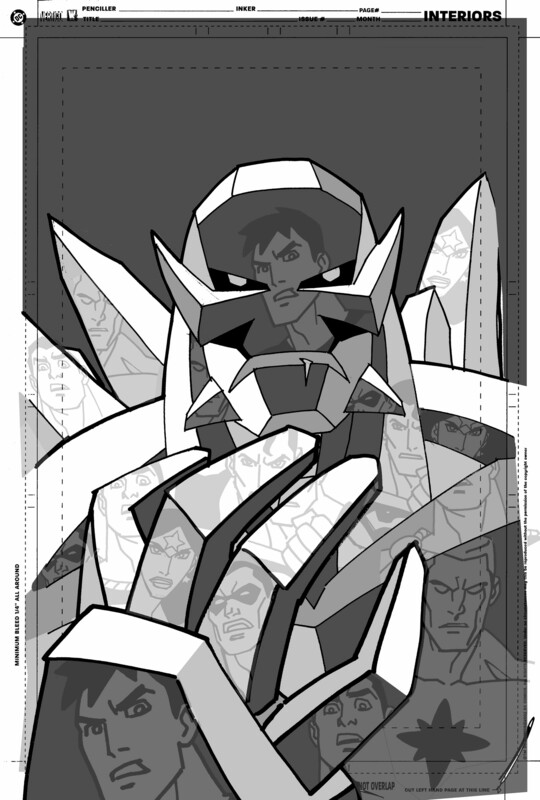 Official details and preview pages are available below. 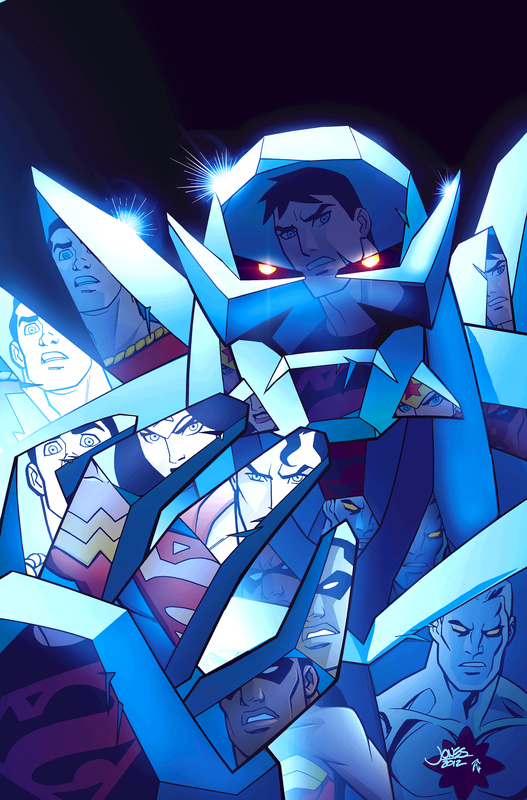 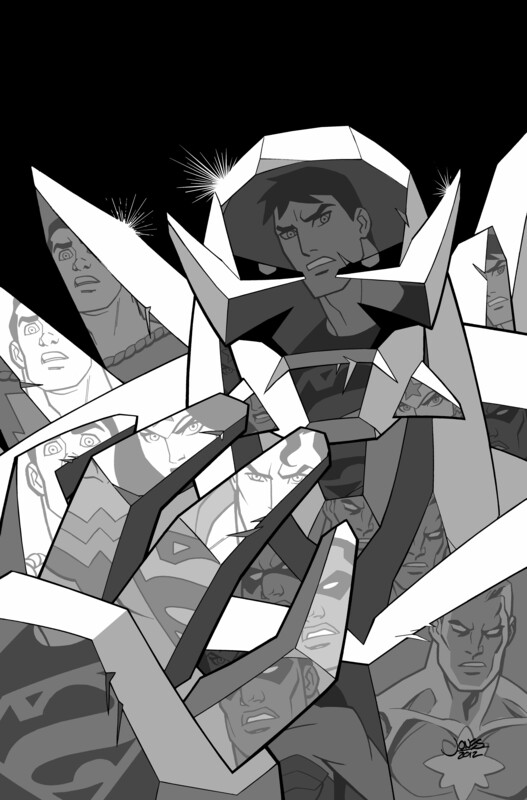 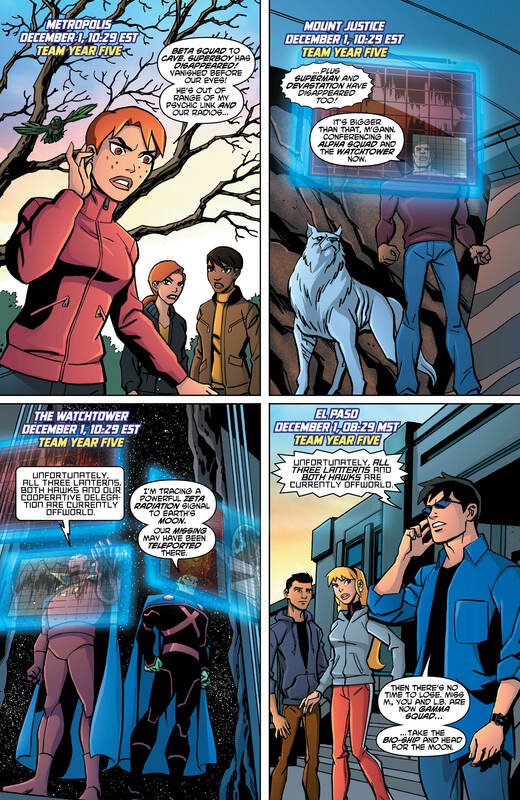 Young Justice: Invasion, and the entire DC Nation programming block, is currently on hiatus until January 2013. 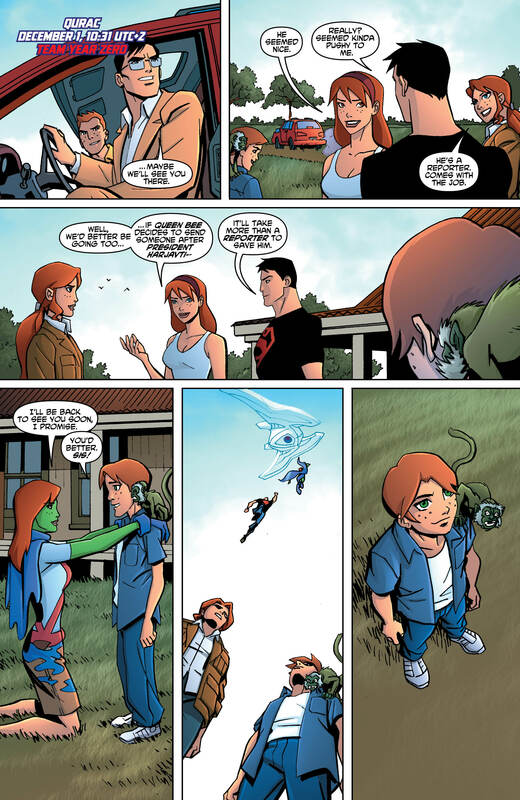 OUT NOW: Young Justice #20 – The INVASION Begins! 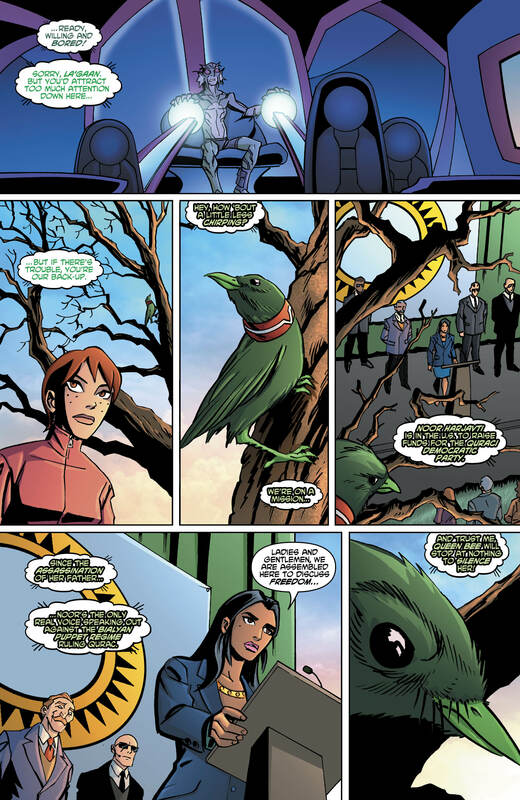 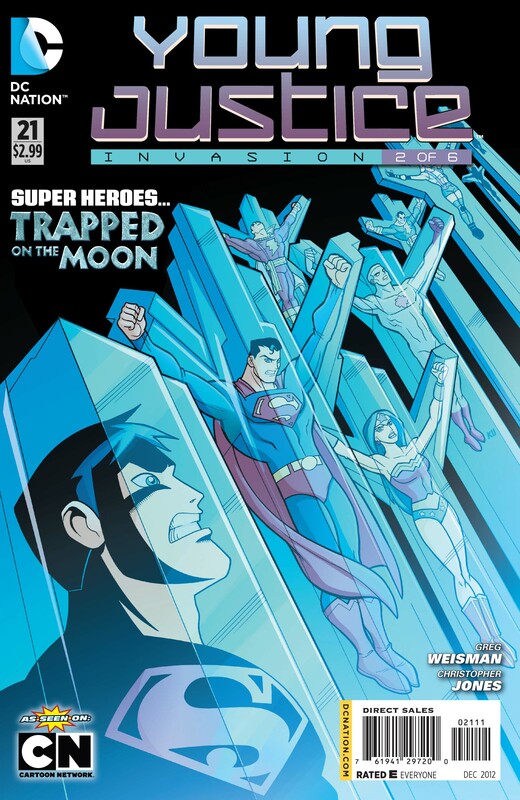 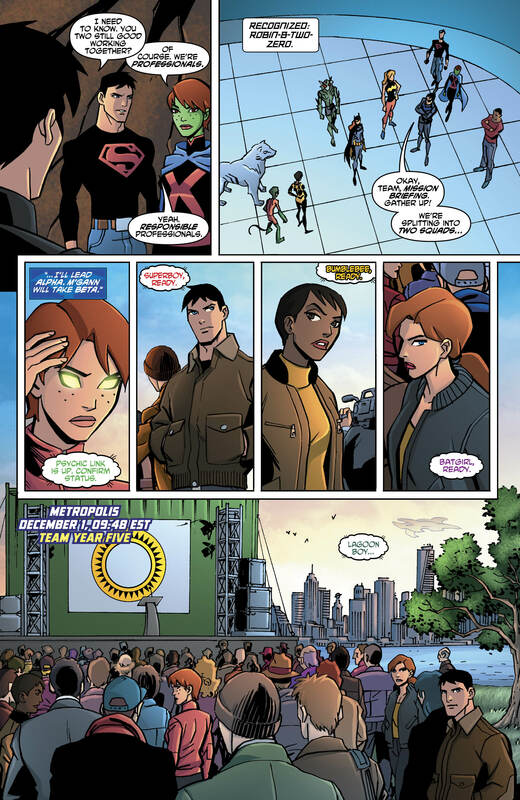 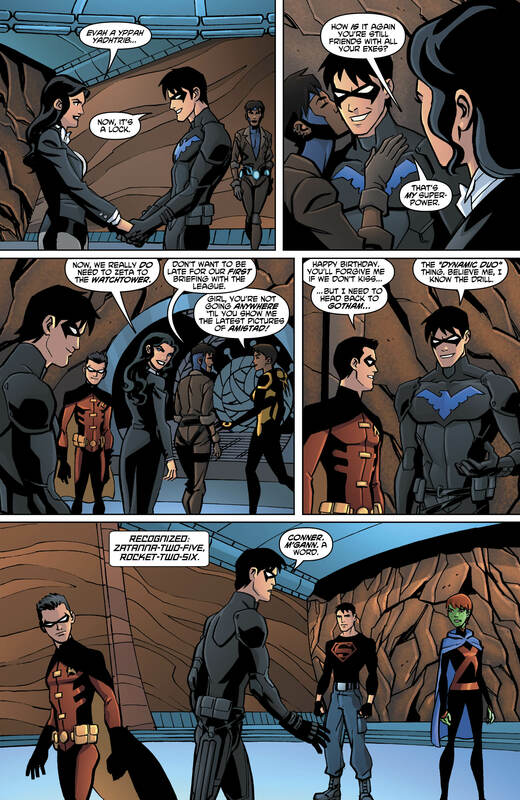 YOUNG JUSTICE #20 is written by Greg Weisman and drawn by Christopher Jones with color by Zac Atkinson. 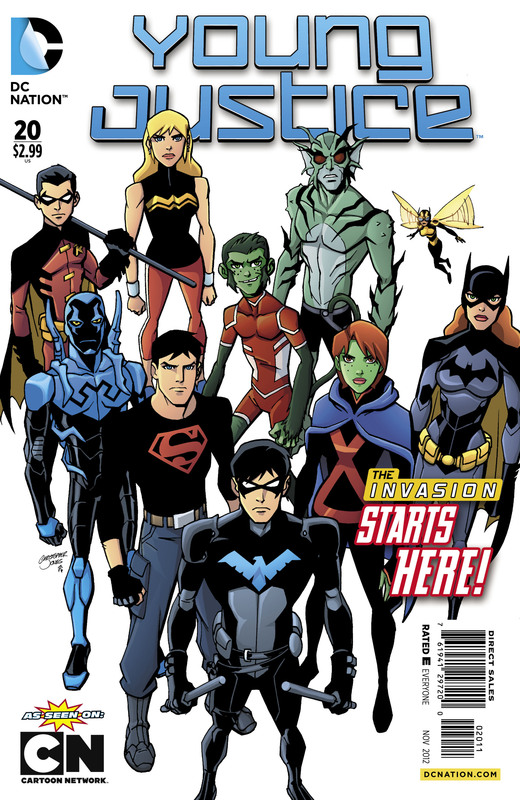 The latest issue of Young Justice jumps five years ahead to mirror the hit animated series Young Justice: Invasion, and aliens have invaded earth! 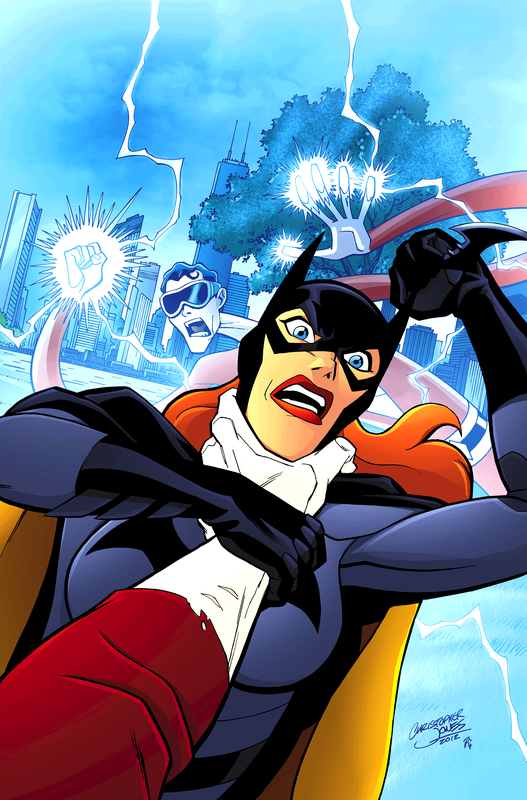 Meanwhile, Devastation, an escaped felon and known operative of Queen Bee, is on the loose in Metropolis. 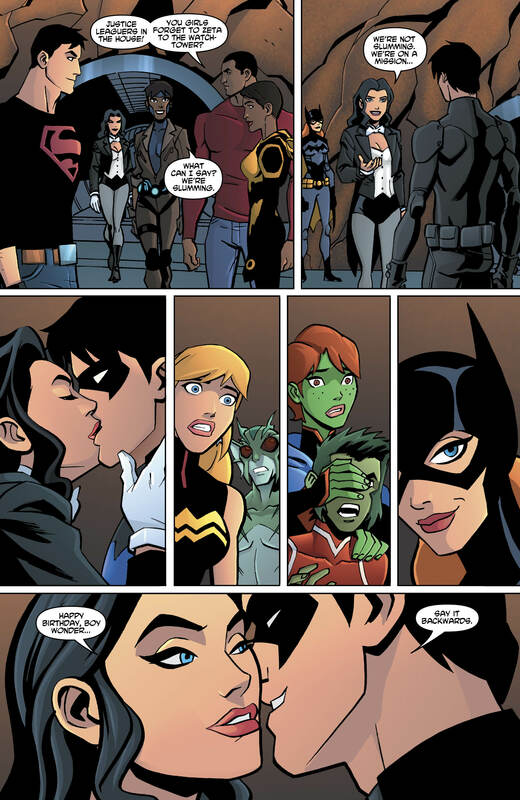 But why is she here, and what does she want? 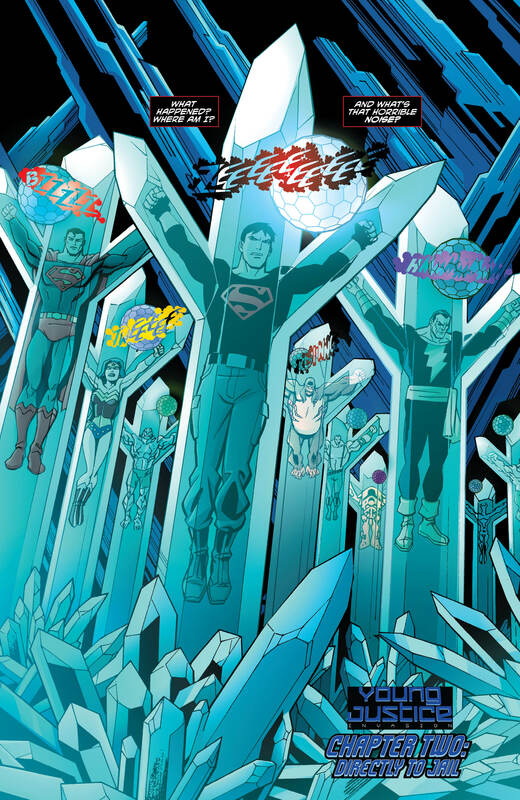 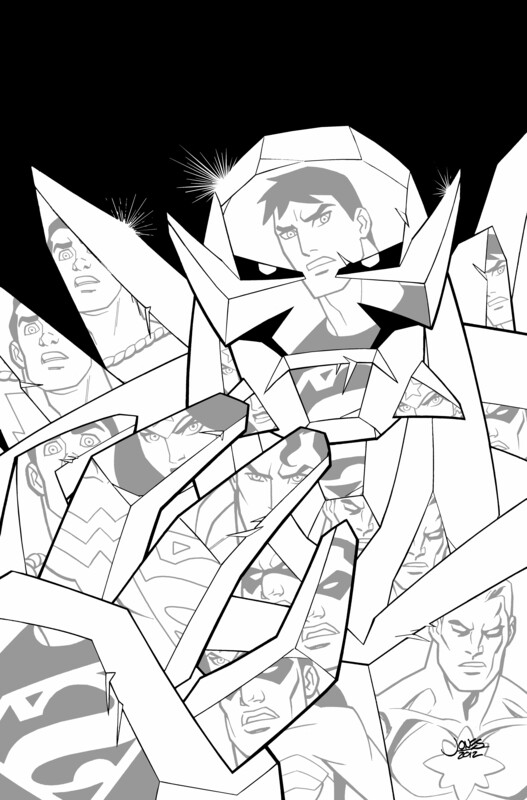 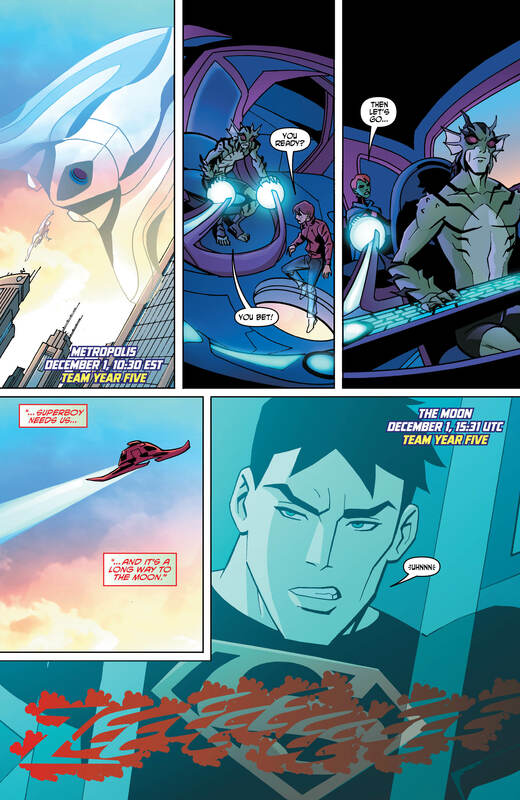 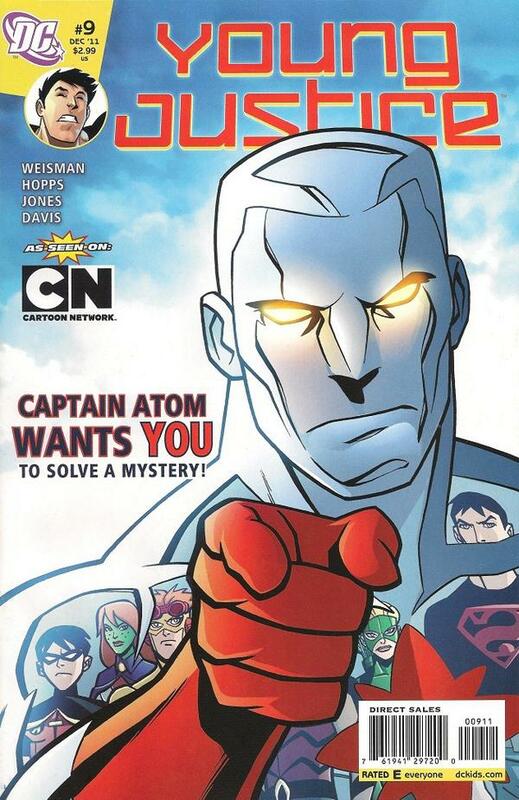 And the Young Justice team is about to recruit a new member … but will he be a good match?